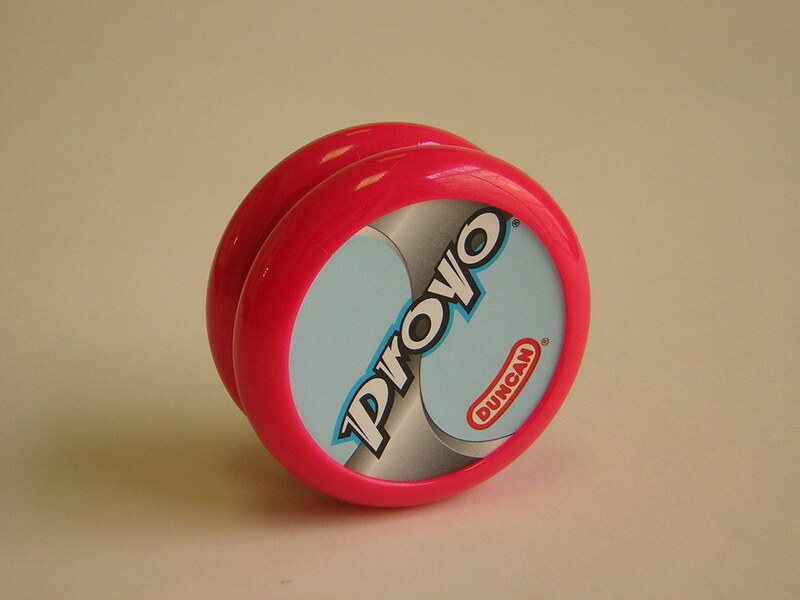 Shortly after Duncan’s acquisition of the Playmaxx line in late 2001, new versions of old Playmaxx yo-yos were hitting store shelves nation wide. This wasn’t the first time that Playmaxx made it into stores like Walgreens, Target, and Walmart. During the big boom, these stores had racks full of ProYos, Playmaxx’s wooden axled beginner yo-yo, but now the ProYo was back in stores. It looked weird to see the ProYo in the Duncan section of my nearest convenience store. Seeing the Duncan pogs and same vacuum sealed packaging that is used for the Duncan Imperial, I couldn’t help but the two men most associated with the two companies… Steve Brown and Tom Van Dan Elzen. An odder couple could not be found. 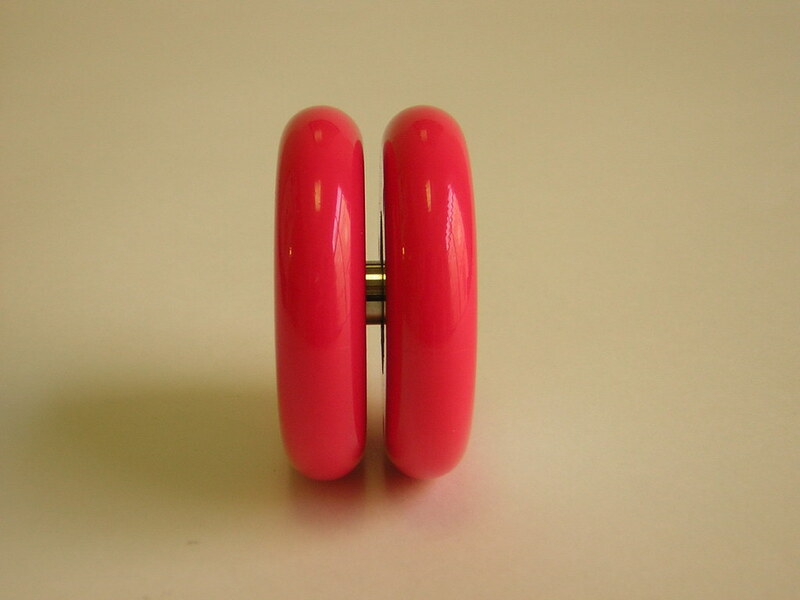 Earlier today I saw a post on yoyoing.com/news about modding a Duncan ProYo. While reading it, I suddenly remembered that when Duncan released their first batch of ProYos in 2002, a mistake was made. 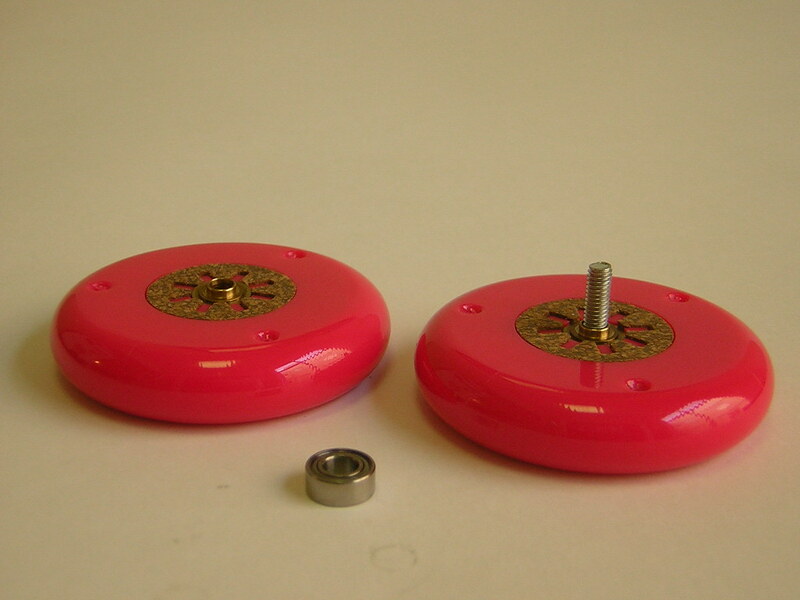 All the pink ProYos were actually pink Bumble Bees (Playmaxx’s higher end ball bearing yo-yo). So for just $2, you were actually getting a $15 ball bearing yo-yo. I remember that! I was working in the store and I was so excited to open my first Duncan ProYo and see a ball bearing. I sold out of those in about fifteen minutes because I sold one to everyone in the store. YES, i remember that too, although i live in Singapore, but the same incident happen in singapore too, my friend bought a proyo to find out that inside is bearing, we were very happy. we then wanted to buy one each too, but afraid that his is just a coinsident.